Dreaming of RootsTech? Enter my GIVEAWAY for a chance at a FREE pass! Giveaway is NOW CLOSED! As many of you know I have the honor of being a RootsTech ambassador for the 2019 RootsTech Conference. It is a mecca of all things genealogy! A chance to see amazing speakers plus be surrounded by those who appreciate the connections and sense of belonging that comes from researching your family’s story. One of the perks of sharing all the goodness that is RootsTech is that I get to grant one of my lucky winners a FREE 4 day pass to RootsTech to be held from February 27 through March 2, 2019 (a $299 value)! If you have already purchased your ticket, I encourage you to still enter! You will be reimbursed your ticket price. Win! Win! This giveaway will end on Friday, October 19, 2018. PLEASE NOTE! This giveaway is NOW closed. Thanks to all that entered! P.S. 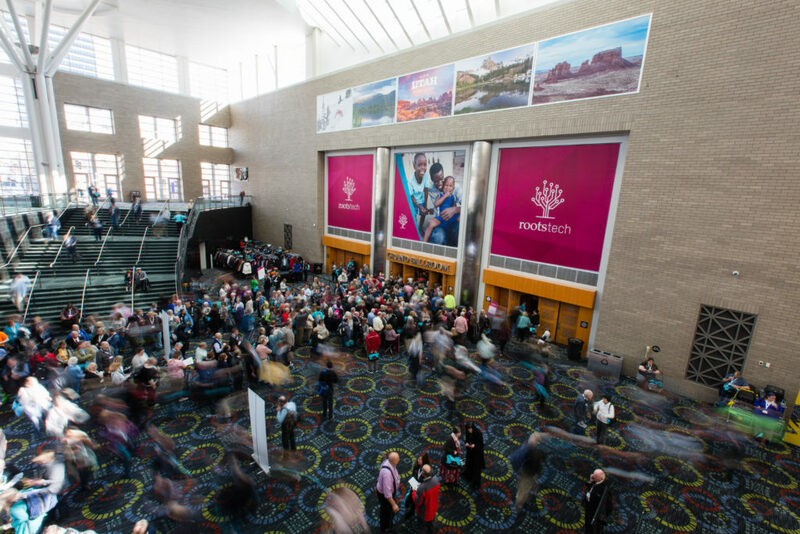 You will want to get your tickets to RootsTech sooner rather than later, a little birdie told me that the ticket prices will be going up soon!